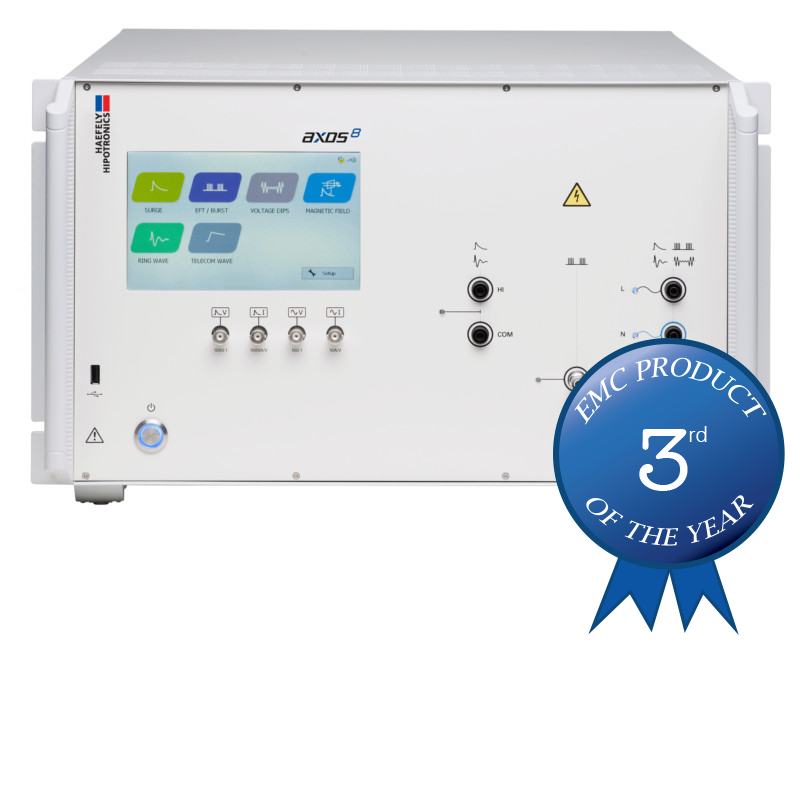 The AXOS 8 - Compact Generator are a compact solution integrating several EMC tests into one single economic solution. This allows for quick and completely automated testing to the most common IEC, EN, ANSI, IEEE and UL standards. 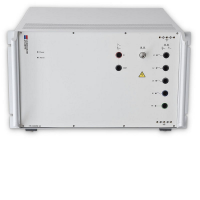 The AXOS 8 Compact Generator can be individually combined either with 7 kV Surge Combination Wave, 5 kV EFT/ Burst, Dips & Interrupts*, Telecom Wave, Ring Wave along with an integrated single-phase coupling / decoupling network. This allows quick and completely automated testing to the most common IEC, EN, ANSI, IEEE and UL standards. The AXOS 8 can either be operated by front panel with a large color graphic interface or remotely from the PC. The easy to use menu together with the availability of predefined test routines for different standards makes testing easy and reliable, even for less frequent users. Numerous additional functions such as external start/stop function allows easy integration of the test system also in customer specific test environments. 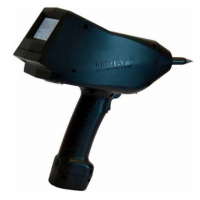 All the test parameters can be varied in a broad range wide above the requirements of the standards. 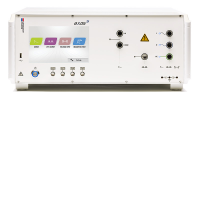 Together with the ability of changing test parameters during test, AXOS 8 is not only the ideal product for compliance and pre-compliance testing, it is useful for monitoring & debugging function during design phase as well. The optionally available remote control software simply enables the user to remote control the AXOS 8 by using a remote device like a standard PC, Tablet or Smartphone. The connection can either be established by putting in a Ethernet cable "point to point" or via wireless network (a separate access point will be required). Individual tests stored on the computer or in the AXOS 8 itself can be combined to form a complex and fully automated test sequence. This feature enables Surge, EFT/Burst, and Voltage Dips tests to be linked and run in a continuous sequence. The already preinstalled IEC and generic standards make programming easier than ever before. *AC Power for AXOS only. Do not use DC through DIP 116 unit.